Philadelphia, which beat New York and Columbus, Ohio, was widely seen as the favorite throughout the process, in part because it was a safe pick financially and politically. Maybe it was the private nighttime visit to Independence National Historical Park, where the Democratic National Committee chairwoman got to touch the Liberty Bell. 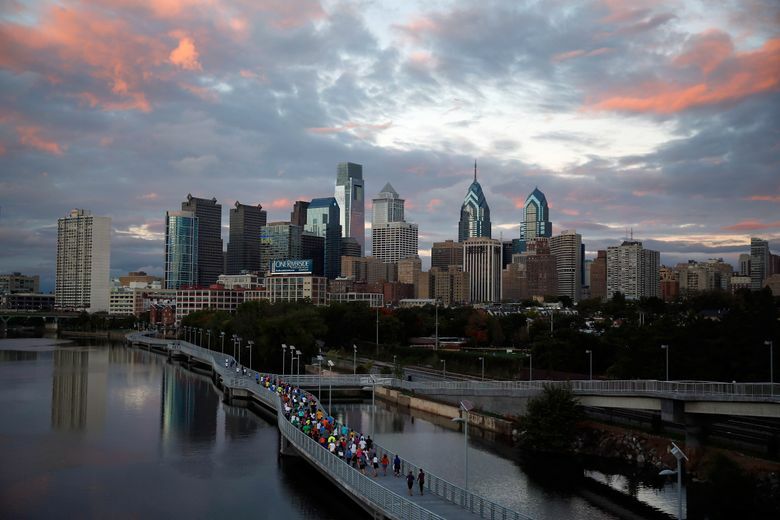 Whatever it was that sealed the deal, Democrats on Thursday chose Philadelphia for their 2016 national convention, looking ahead to Independence Hall and other symbols of America’s birth bathing their presidential nominee in a patriotic aura. “In addition to their commitment to a seamless and safe convention, Philadelphia’s deep-rooted place in American history provides a perfect setting for this special gathering,” Rep. Debbie Wasserman Schultz, of Florida, the chairwoman of the Democratic National Committee who had caressed the Liberty Bell, said in her announcement. Philadelphia, which beat New York and Columbus, Ohio, was widely seen as the favorite throughout the process, in part because it was a safe pick financially and politically. It had the individual and corporate backing to pay for a convention — it hosted the Republicans in 2000 — and it offered a less-risky backdrop than New York, a liberal epicenter and the home to a polarizing mayor, Bill de Blasio. Notably, neither President Obama nor Bill or Hillary Rodham Clinton aggressively lobbied during the selection process. The decision was largely made by Wasserman Schultz. New York apparently lost points by proposing the Barclays Center in Brooklyn for the convention, which posed logistical hurdles. With a shortage of hotel rooms in the borough, thousands of attendees would have had to shuttle back and forth between Brooklyn and Manhattan, with the potential for transportation snarls. Wasserman Schultz said Philadelphia’s strength was the closeness of hotels to its arena, the Wells Fargo Center, and the Pennsylvania Convention Center. The seamlessness of the “delegate experience,” she said, was “a very, very important thing” in making the choice. Ed Rendell, a former Pennsylvania governor and Philadelphia mayor, who guided the city’s bid, said that with Broad Street turned into a one-way thoroughfare for the convention, the 4.5-mile trip between the Wells Fargo Center and Center City, with 11,000 hotel rooms, would be seven or eight minutes. The convention, scheduled for the week of July 25, 2016, is more than a month earlier than recent conventions, which typically fell around Labor Day. The party gave up the greater voter attention that comes later on the calendar to counter any bounce in the polls for the Republican nominee, who will be picked at the convention in Cleveland from July 18-21. It is a risky choice because undecided voters on summer vacation may skip the television coverage, the chief purpose of modern conventions. Columbus, Ohio’s capital, promoted itself as an affordable alternative, with a walkable, Midwestern vibe that would be comfortable for party activists. But Columbus has a small airport and fewer downtown hotels. “I don’t know the reasons we weren’t chosen,” said Brian Ross, chief executive of Experience Columbus, the city’s tourism and convention office. Recent history shows the choice of a nominating convention has little influence over whether a party carries the state in the general election. Republicans and Democrats both lost their 2012 convention states.